In Issue #113 of Singletrack Magazine, we reviewed three modern geometry 29ers to see just how far the big wheels have come. 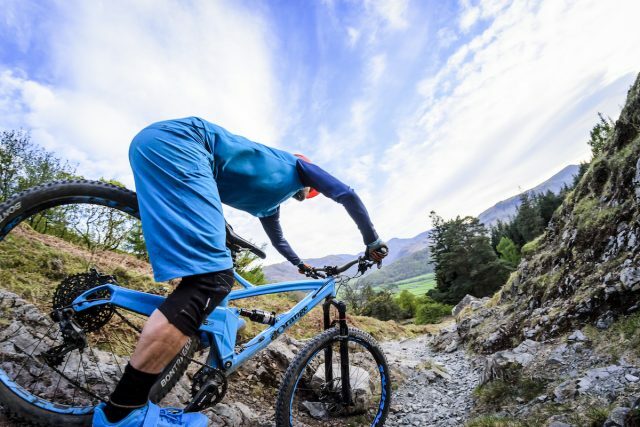 29er mountain bikes have been undergoing rapid evolution over the last few years with many brands developing genre-bending hardtail and full suspension frames built around the wagon wheels. Sure, the widespread uptake of 27.5in wheels may have hampered 29er development somewhat, but now that that trend has settled down, we’re starting to see progress reignited. 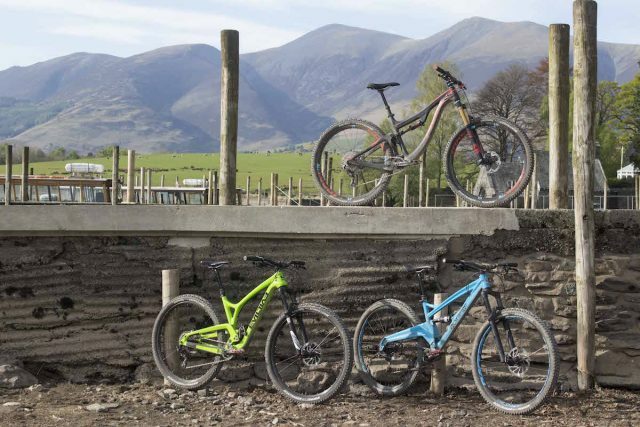 Indeed, 29ers have come a long way since they first appeared in the early noughties. Back then, early 29ers were either fully rigid or cross-country hardtails. Equipped with steep 72° head angles, short top tubes and long stems, these awkward looking things were truly horrible on technical singletrack, with limited tyre clearance, a tall centre of gravity, and confidence-ruining toe overlap. Sadly, many mountain bikers’ early encounters with 29ers were aboard these twitchy, glorified gravel bikes, and that was an experience that most wanted to forget. But while the bikes have come a long way over the past decade, some of that stigma around 29in wheels still remains in many riders’ opinions today. We put three new-school 29ers to the test to see how the wagon wheels have evolved since the early days. Yes, even in 2017, there are many who still believe that 29ers are for cross-country only. Or for beginner riders. Or for really tall people. Or for mountain bikers who don’t like to jump. You may be one of them, so please allow me to convince you otherwise, because a lot has changed over the past decade, and 29in wheels are no longer the realm of sharp-angled cross-country race bikes and rigid steel singlespeeds. Geometry on 29er trail bikes is being stretched out and raked out. Bottom brackets are lower and chainstays are shorter. Stems are stubbier, and bars broader. Tyre clearance has increased, thanks partly to the banishing of front mechs. Modern forks are stronger and smoother, wheels are stiffer, and tyres are getting meatier. The adoption of tough components and trail-oriented geometry has truly catapulted 29in wheels into the future. It’s now possible to have a full suspension 29er that that is, dare I say, actually fun to ride. And, yes, they can jump too. Just look at the recent influx of 29ers in both the Enduro World Series and Downhill World Cup. 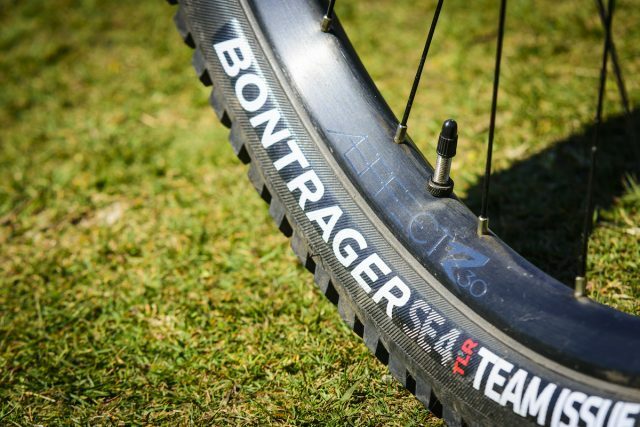 For consistency, we outfitted each test bike with 2.4in wide Bontrager SE4 Team Issue tyres. Sure, wheel size isn’t everything. Ultimately, a bike rides a certain way due to multiple factors – geometry, suspension, and frame design being the main ones. And judging based on wheel size alone is an exercise in dumbing-down a bike’s performance based on one single number. Looking to highlight the significant development of 29er trail bikes over the last two years, we have hand-picked three contemporary trail bikes built around 29in wheels and 120–135mm of rear wheel travel. Bikes that are poppy, playful, and blisteringly fast. We’ve got an Evil Following, the Pivot Switchblade, and an Orange Stage 5, all of which we set up with the same 2.4in wide Bontrager SE4 tyres to level out the playing field. And as we’ve found with our test bikes, there’s a lot more to these machines than just the size of their wheels. The Following from Evil is a low-slung, agile, and poppy 29er trail bike with attitude. “Seattle-based Evil Bike Co. hasn’t been on the scene for that long, but in its eight years of existence, the trendy brand has made quite a splash with its cutting-edge carbon fibre frames and distinctive Delta suspension platform. The first bike to come from Evil was actually an alloy downhill bike called the Revolt, which kicked things off in 2009. Unfortunately for Evil, however, those early days turned out to be a period that the company would soon rather forget… ” Read the full review here. You want to go fast? The Orange Stage 5 wants to go faster. 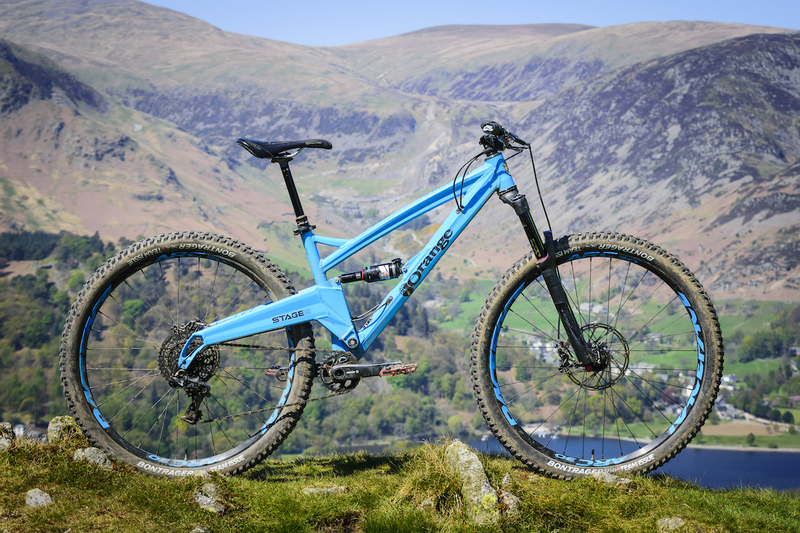 “Of our three 29ers on test, the Orange Stage 5 is the youngest and shiniest of the lot. 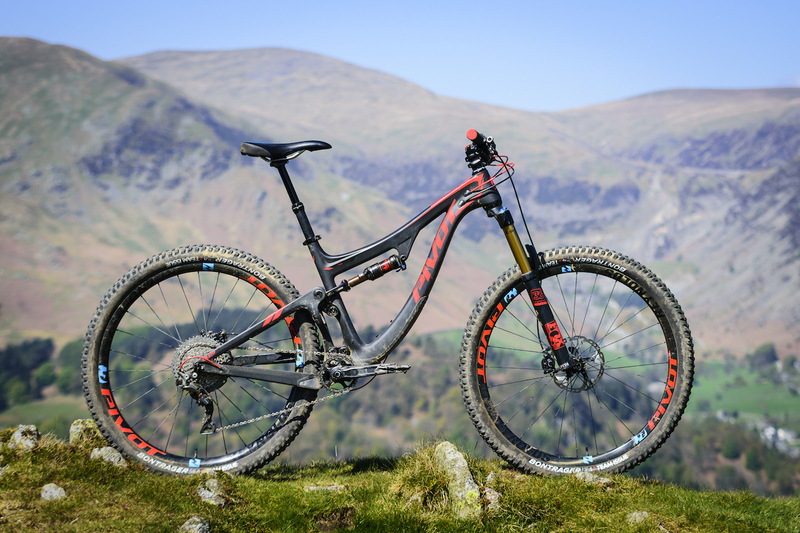 Released to the public in early 2017, the Stage 5 slots into the Orange 29er line-up between the short-travel Stage 4 (110/120mm travel), and the Stage 6 enduro race bike (150/160mm travel). 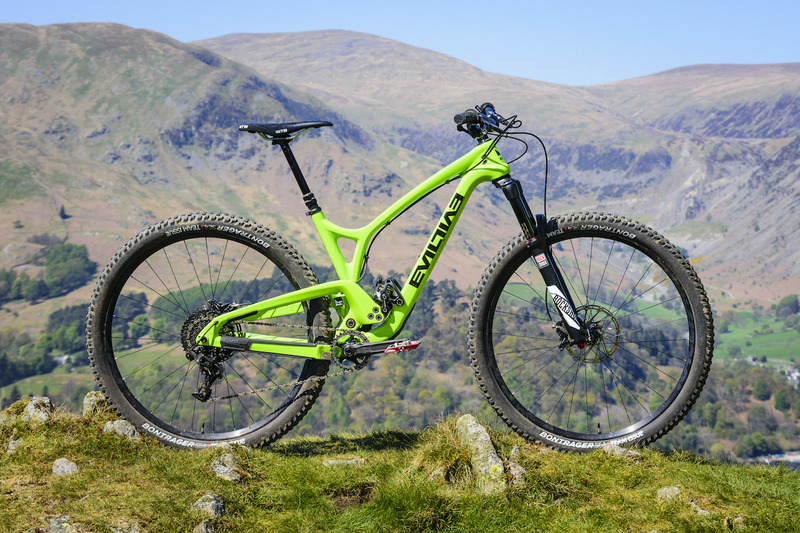 With 135mm of rear travel and a 140mm travel fork, the Stage 5 is billed by Orange as a capable technical trail muncher for all-round riding…” Read the full review here. With dual wheelsize capability, the Pivot Switchblade is an extremely well engineered piece of kit. “Unlike Evil and Orange, Pivot Cycles has been making 29in mountain bikes for quite a while now. The US-based brand originally launched back in 2007 with the Mach 4 and Mach 5, then barely a year later it rolled out a 29er in the form of the Mach 429 – a bike that is now almost ten years old. 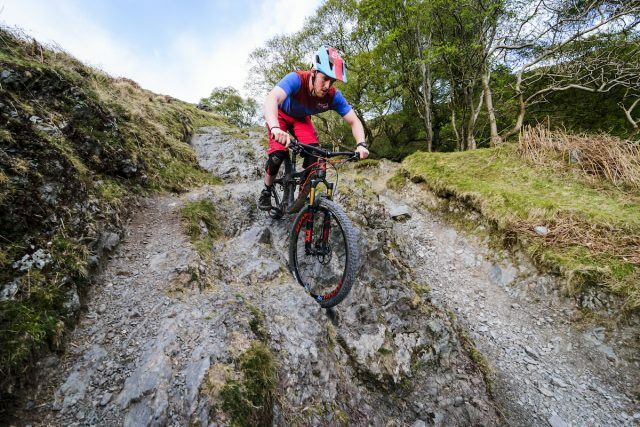 While it took the UK market much longer to warm to 29ers, they were far more readily accepted on the other side of the pond, where boutique US brands such as Niner, Ellsworth and Pivot tapped into the allure of wagon wheels early on...” Read the full review here. 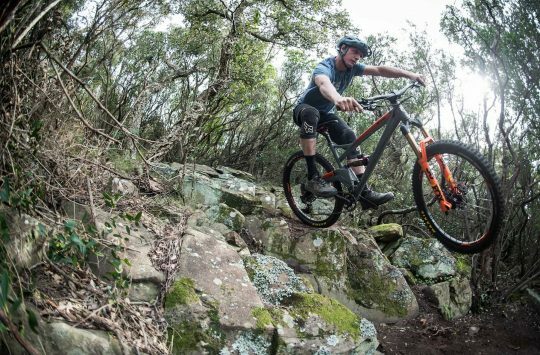 Specific results aside, if there was one thing to take away from our modern geometry 29er bike test, it’s that 29in wheeled trail bikes have come a very long way in recent years. Sure the number-crunchers may still have their theories, but the real-world performance of each of these three trail bikes left very little room for any downsides. Thanks to better components and fresh geometry, many of the compromises exhibited in previous 29ers have been all but eradicated. In the 120–140mm travel bracket, there are certainly more benefits to getting on a 29er than there ever have been. For a start, the big wheels roll smoother over rough terrain – and that one cannot be denied. Back-to-back with smaller sized wheels, all of these 29ers blitzed our local test loops with more momentum when pedalling through the chunder. Secondly, they deliver masses of traction. Get on to a frame with contemporary geometry, and see just how hard you can lean the bike through the turns. And thirdly, they descend with more speed and more stability. 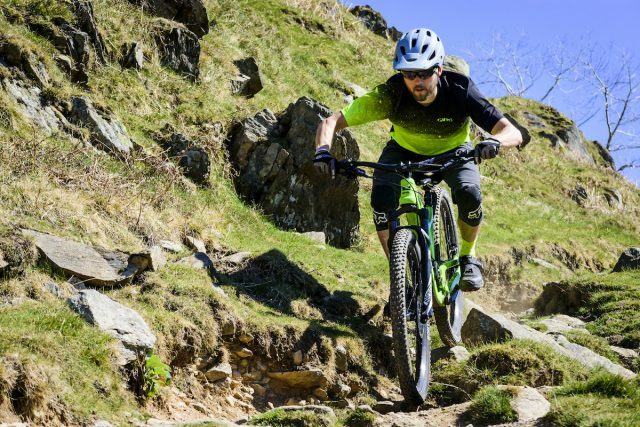 With decently wide rims and chunky tyres, 29er trail bikes absolutely fly when let loose on the descents, and they’ll deliver you more confidence while doing so. As for the three test bikes, each was an outstanding example of how 29in wheels can be harnessed to provide all of those benefits in a bike that is still just straight-up fun to ride. And I say that as an average sized, 175cm/5ft 9in tall human being – not some enormous basketball player. It may only have 120mm of travel out back, but the Following uses it very, very well. Although it had the least amount of travel on test, and is also the oldest bike here, the Evil Following was just sheer fun to ride. It’s hella playful, and its enthusiasm to hop, skip and jump anything and everything on the trail is dead-set infectious. I also couldn’t get over how well this bike corners, with its long’n’low geometry and supportive suspension keeping weight distribution down low. Its 120mm of travel left it a little lacking compared to the other two bikes when things got really hectic, and it’s so willing to get into those scenarios that you have to watch yourself. But if you just want to ride for the hell of it, then I can’t think of many trail bikes that are as much fun as this one – regardless of wheel size. Fanboys will still go for the Orange Five, but they’ll be missing out on the warp-speed capabilities of its 29in brother. Having spent a good amount of time on the 27.5in-wheeled Five, I was eager to see what Orange could achieve with larger wheels. Thankfully, the Stage 5 absolutely delivers. This bike is so goddamn fast, you might as well write your own speeding ticket and be done with it. Ideal for trail centre riders who want a dependable companion for all-year round riding, the Stage 5 is equally adept at scaling rough and natural terrain, though preferably flat out with you hanging off the back of the saddle, wide-eyed and death-gripping the bars. It’s certainly planted enough to dabble in some enduro racing too, though if that’s more of your focus, perhaps consider the Stage 6. 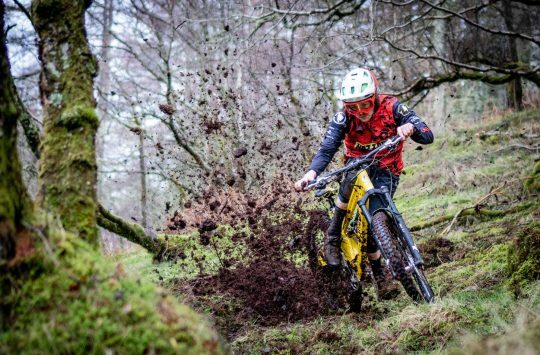 Crayons pilots the Switchblade into an ugly pile ‘o’ rocks – exactly where this bike loves to be. The Switchblade was the most expensive of the bunch, and arguably, the most meticulously engineered too. Its DW5 suspension design is buttery smooth, and it possesses immaculate pedalling characteristics for those who like to ride technical trails all day long, and want a comfortable bike to do so with. Despite its speed and technical prowess though, the burly Switchblade chassis lacked some of the pop and personality of the other two bikes with perhaps almost too much calmness and control. That said, it’s an incredibly versatile bike with dual wheel size personality, and will suit those who appreciate a more refined ride quality. Great photo at the top, and not just because it’s a classic bit of lakeland riding. Can’t concentrate on the bikes with that sort of gorgeous backdrop! Cheered my day up just seeing the lakes.